Navi Mumbai : As a part of its crusade against illegal pathology labs operating in the state, Maharashtra Association of Practicing Pathologists and Microbiologists is now reported to be reaching out for police aid against such pathology labs in the state. 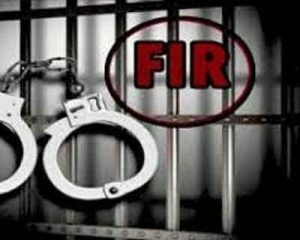 Last week, an FIR had been filed with the police against two laboratories working in the Navi Mumbai area. These include Ghansoli’s Sankalp Clinical Laboratory and Koparkhairane’s Ayush Path labs. Now, a member of MAPPM has filed an FIR against the owner as well as the pathologist of Anand Clinical Laboratory, reports TOI. It is alleged that the owner of the said lab, Manisha Ghodekar, had been allegedly using pathologist Dr SN Tripathi’s digital sign on reports of patients despite the pathologist being suspended by Maharashtra Medical Council (MMC). “We have submitted to the police a test report issued by Anand Clinical Laboratory where the lab technician, despite not being authorized, has appended her own signature on a patient’s test report,” Dr Sandeep Yadav, Maharashtra Association of Practicing Pathologists and Microbiologists informed TOI. The organisation in the past, has been crusading against illegal pathology labs mushrooming in the state as well as some MD pathologists lending their names for renumerations without visiting labs at all. “While the lab owner has not yet been arrested, a search is on for the other accused as an FIR has been registered against him for similar malpractices,” assistant police inspector Vivekanand Raut said. Good step to restote confidence of patient.